School has been my crutch for as long as I could remember. I always strived for straight As and never wanted to miss a day of class, even when I felt sick! Yet with family all over the U.S., I had to skip a few days to travel for holidays, school breaks, and summer vacations. From riding in the St. Louis Arch to spring break at the Grand Canyon, or 18-hour road trips to Louisiana, traveling fueled my curiosity outside the classroom. Itching for a new academic adventure, I studied abroad in Granada, Spain and used Sojournies to document my experiences. That semester opened my eyes to what a school nerd like me could learn from the world, instead of a textbook. Feeling anxious and uncertain, I delayed grad school and applied for a sought-after Fulbright English Teaching Assistantship. Two months shy of graduation, I was accepted and placed in Logroño, Spain. Between the smiles, siestas, and side eyes, I ate my way through the streets of Berlin, Madrid, Santorini, Prague, Lisbon, and many more. I found my voice as a writer for Sojournies and as a Contributor for Las Morenas de España, where I could reflect on my nuanced interactions as a Black-American woman teaching English in a foreign country. A sojourn is defined as a temporary stay and my sojourn to Granada birthed this blog. 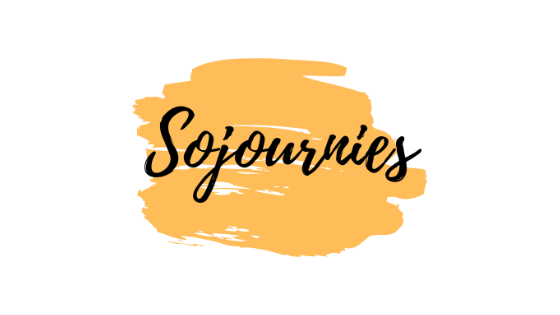 More than a travel diary, Sojournies provides travel resources, stories, and advice to encourage you to create your own journey of travel. Though I’m still a school nerd at heart, as I’m currently studying for my Master’s in Social Work, traveling changed my path from an academic perfectionist to an experience enthusiast addicted to growing as a student of life. So let’s get you traveling. Trust me, it’s worth missing a day or two.